Beautify your name with this especially minted Solid Sterling Silver name necklace which comes with a thicker font to decorate your name. 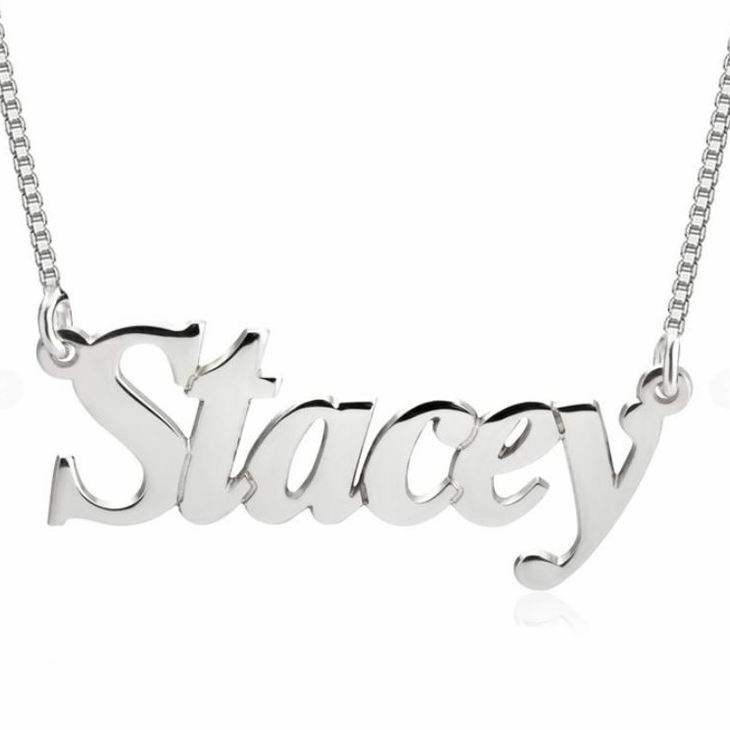 This lovely double thickness Sterling Silver name necklace can be uniquely designed with any name you wish and it can be chosen from either Silver Box chain or Fine Rolo Chain. 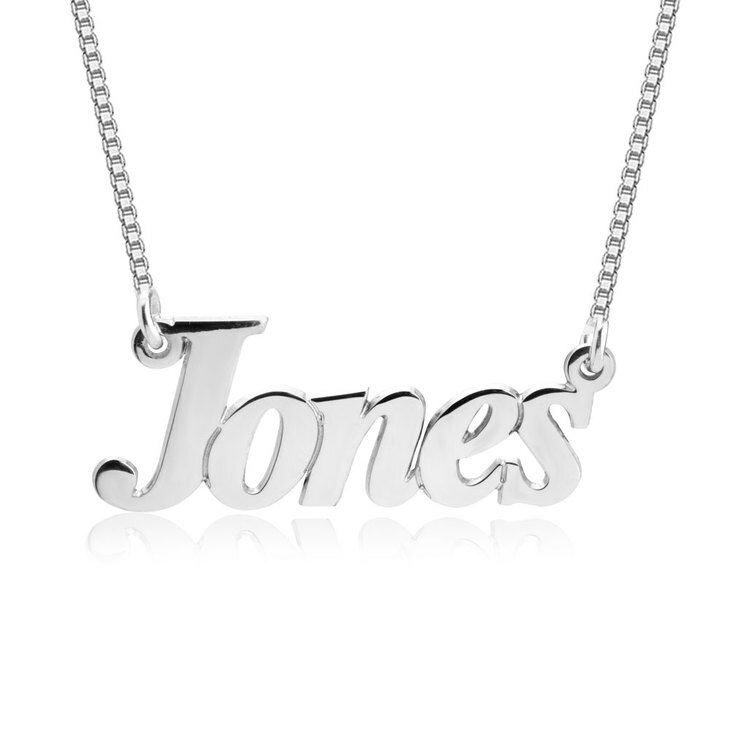 We offer one capital letter per pendent and the Size of the name plate varies in accordance with the name and style. 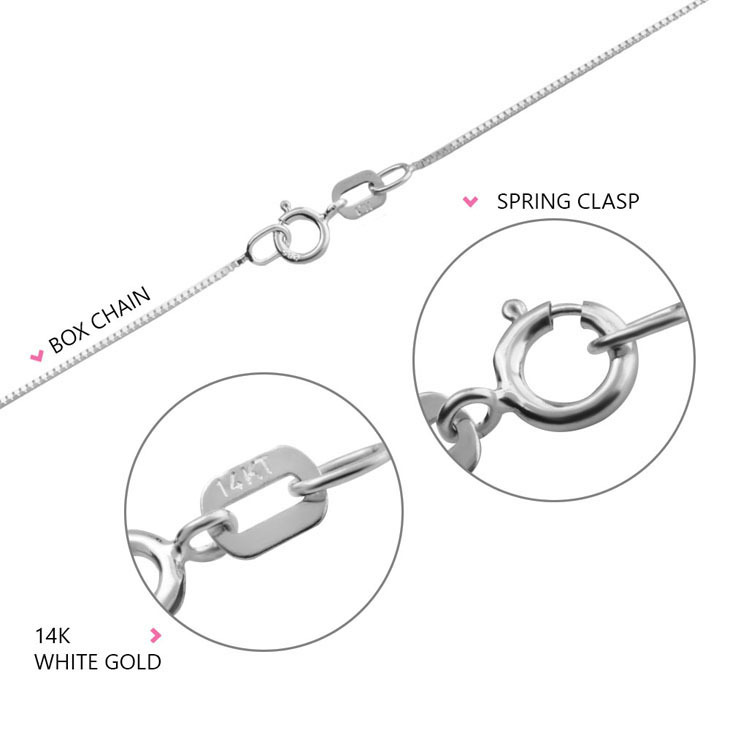 Choose from five different chain lengths which are precisely designed to suit the women of all ages. All these gorgeous necklaces are 100% hand prepared to meet the highest standards of quality and uniqueness. 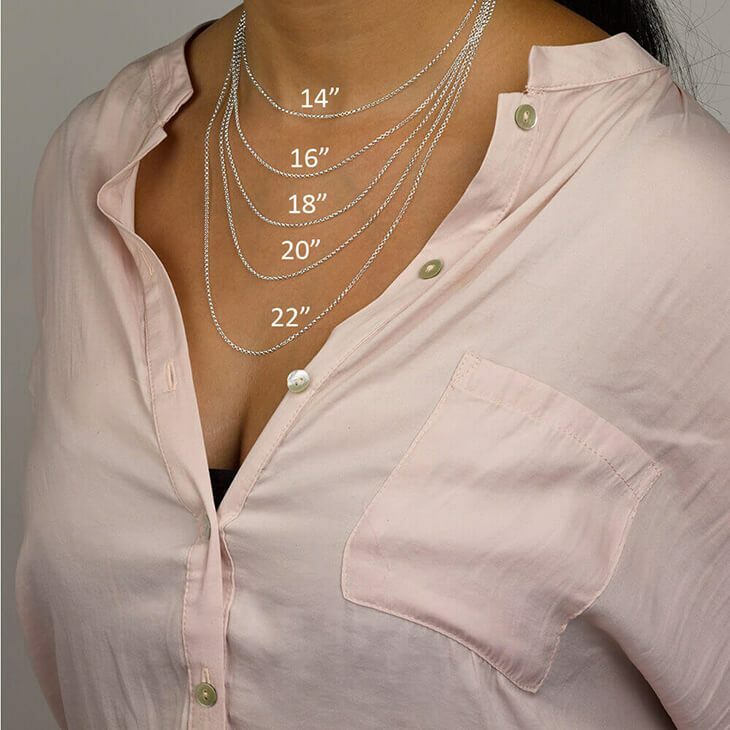 When ordering a name necklace of eight letters or longer, it is advised to order double thickness necklaces for longer durability.